Odds are you turned on the tap several times today. To brush your teeth. To wash your hands. To wash a dish. Today, a farmer watered crops that will end up on your plate and a firefighter saved a home with water. A doctor washed their hands before a life-saving surgery. Water is an invisible thread, keeping our lives, communities and economies running. Yet it’s too often taken for granted. We forget about the systems in place that bring the vital, life-giving resource to and from our homes and businesses. So for a reality check about the value of water, we’re imagining a day without it. 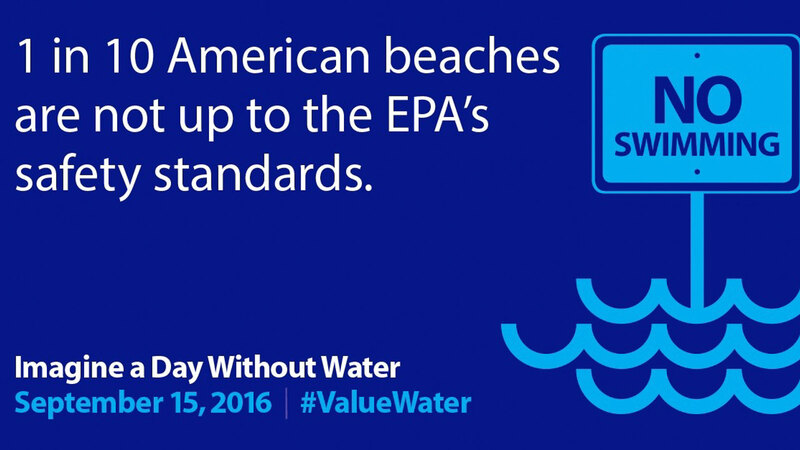 September 15 is a national day of action organized by the Value of Water Coalition to educate public officials and citizens about the essential role water plays in our lives, and the threat aging and underfunded water infrastructure poses to our communities and economies. And we have real examples of how that can play out. An historic drought has displaced entire communities in California. Overwhelmed wastewater systems have forced beach closures along the Great Lakes because of sewer runoff. Flooding and other natural disasters have knocked out water and wastewater service in communities from Texas to South Carolina to West Virginia. There is lead running through miles of pipes throughout the country, leaving many nationwide unable to drink their water and more at risk. National Geographic estimates that the country’s 1.2 million miles of water mains translates to 26 miles of pipes for every mile of interstate highway. And, while the interstate system was built in the late 20th century, many of the water systems that the country’s biggest cities rely on were built in the 1800s or early 1900s. A water main breaks somewhere in America every two minutes. The challenges might be great, but our capacity for innovation is greater. We need to build modern, energy efficient and environmentally advanced systems that will sustain communities for generations to come. Public officials at the local, state, and national levels need to be prioritizing investment in water. And public private partnerships should play an important role in building the drinking water and wastewater systems of tomorrow. The Freshwater Trust is standing with hundreds of other organizations on September 15 to raise awareness about the often invisible challenges plaguing our water infrastructure, and there are two ways you can help. First, sign the petition. 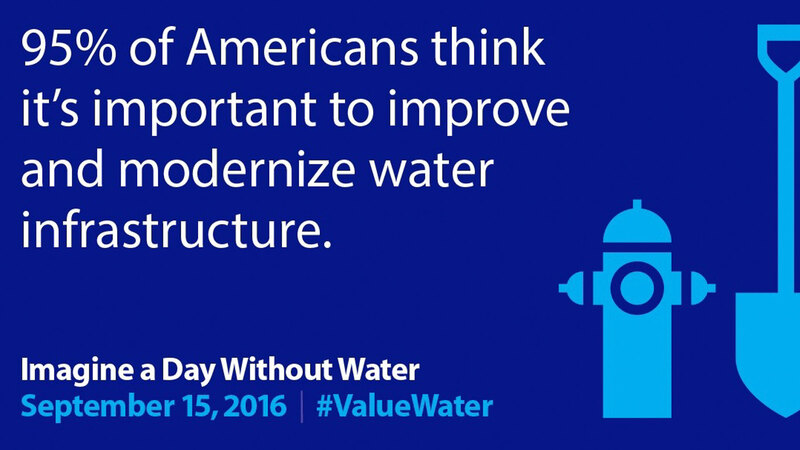 Then, join the Thunderclap, using the hashtag #ValueWater. We need to prioritize building stronger water and wastewater systems now, so that imagining living a day without water is well…just a matter of imagining.